Sadly, at the end of July we will be saying goodbye to the Adult Summer Reading Program. 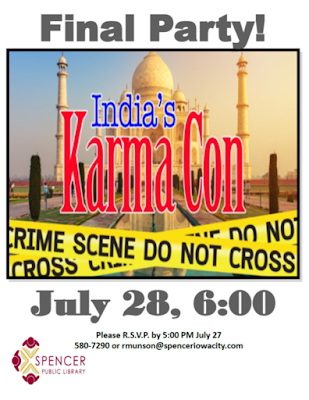 But, before we say farewell, those who finished the program (read three books) will have a great time at the India’s Karma Con Party on July 28. Instead of the popular Break-Out rooms we will be breaking in, to the Taj Mahal. 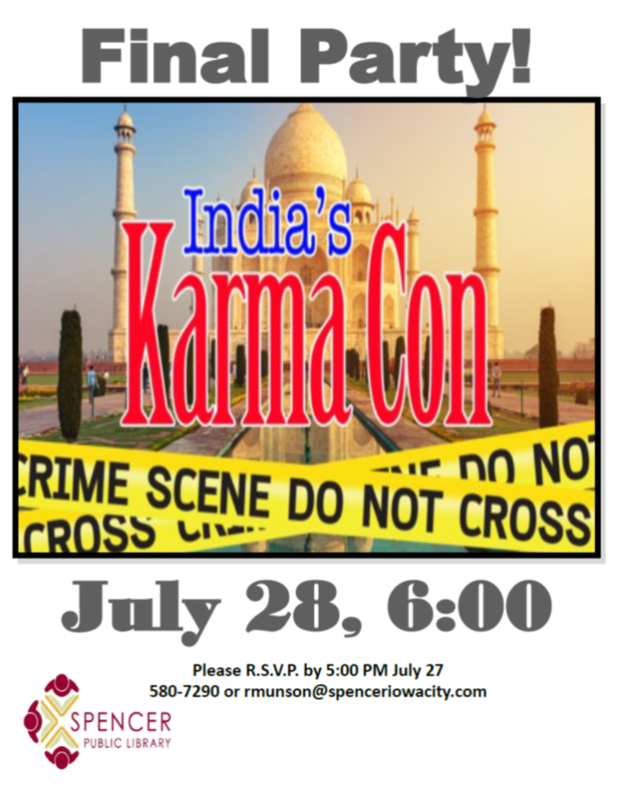 Remember to return all prize entry slips, turn-in all book reviews, and RSVP for the party by July 27 before 5:00 PM. We will have the final prize drawing for the Kindle Fire at the Final Party.